Our Garden Center is located on 8 acres, offering extensive selections of trees, shrubs, annuals, perennials and so much more. Located just a couple minutes from Nashua, NH, Route 3, and the Massachusetts state line. We invite you to stroll through our incredibly spectacular 4-acre backyard where you will find our outstanding selections of trees and shrubs inspiring. 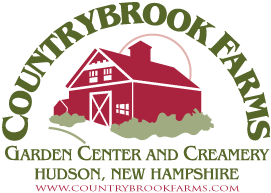 We are a family owned, full service garden center with over eight acres surrounding our 150-year-old New England barn. Shoppers can expect “Down Home” country charm and customer service. We offer gift certificates and we’re open from early spring through Christmas for all of your gift giving occasions.